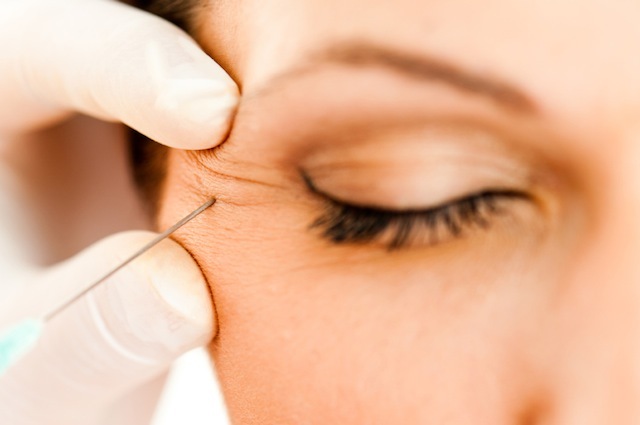 Botox has been proven to not only help with the onset of aging (you know, the pesky wrinkles that pop up?) but also with migraines and excessive sweating. Now, doctors say that it can also help with acne when injected directly into the skin to eliminate large pores, oil production and breakouts. Dr. Anil Shah, a plastic surgeon in Chicago is one of the few doctors using Botox as an acne treatment. According to Dr. Shah, Botox prevents the production of sebum, which in turn starves the bacteria that causes pimples. He believes that the way that Botox works is by blocking the chemical acetycholine in the skin’s dermis. The acetycholine is responsible for increasing the sebum production. But, Dr. Shah says that the treatment isn’t for everyone, and won’t accept patients who are still teens. Dr. Shah has published the only study demonstrating the effects of Botox on acne, which observed 20 patients after a single application. After one month, all of the patients saw that there was an improvement in sebum production and a decrease in pore size. Plus, the patients were pleased with their results. Obviously, we know that adult acne is an issue that many struggle with, but we’re not sure that injecting Botox into our faces is the answer. It will be interesting to see if more expansive studies are done and what the results are. Would you ever consider Botox for your acne?